In our company, clients will be given the opportunity to create a custom-made technical drawing of the box to be produced. Our engineering department will then make the drawing and a full scale sample to check out the actual dimensions and to create a 1:1 scale digital print Mock Up (prototype). Once the die-cut has been defined, the client will be assisted by our graphics department for the completion of the project according to the client’s requirements. 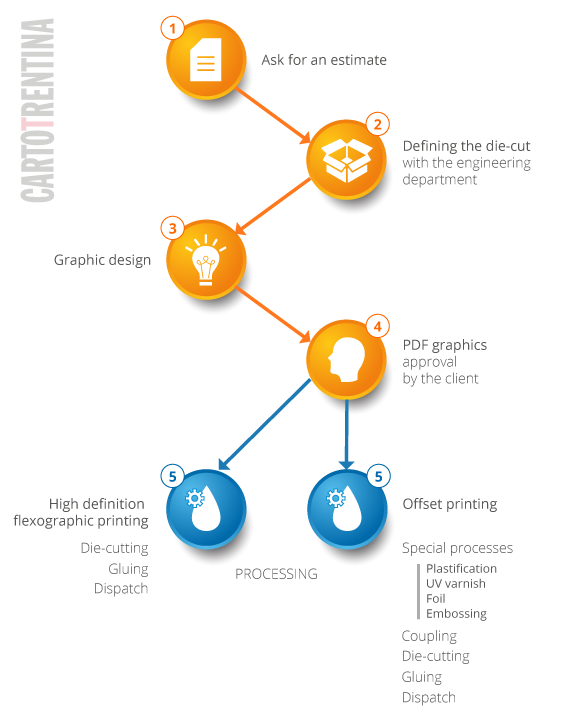 Our engineering and graphics departments are at the complete disposal of our clients.